Rio Ferdinand says Liverpool players must step up and take responsibility if they are to win the Premier League title. Jurgen Klopp's table toppers increased their lead to five points over Manchester City with a 1-1 draw against Leicester at Anfield last night. Sadio Mane got the Reds off to the perfect start with a fine goal after just three minutes but Harry Maguire levelled it up on the stroke of half time. 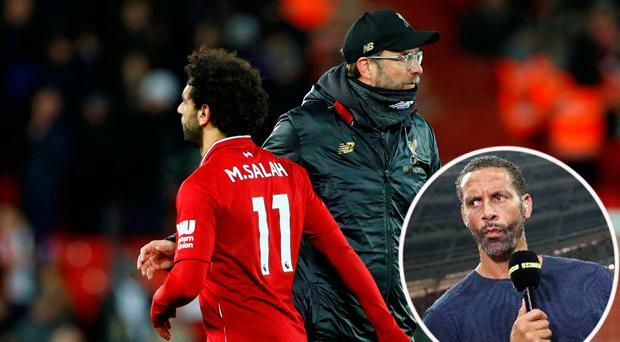 And while Klopp insisted "everything was fine" afterwards, it was a case of two points dropped according to Ferdinand who said that nervousness from the Kop faithful spread to the players on the pitch. "The only slight worry I would have is I sense a nervousness and a team sitting there passing the buck at times," former Manchester United defender Ferdinand said on BT Sport. "That is something (Jurgen) Klopp will have to address. You don't want to see nerves at this stage, this is early. "I think they looked nervous, the crowd were nervous and it fed into the players. I think (Jurgen) Klopp will address that in the coming days." Klopp, however, insists there is no need for panic with a full 14 games remaining as Liverpool bid to win their first title in 29 years. "We have to accept the result, which is no problem," said Klopp. "We don't think we run through the league and beat everybody. We got a point. Not perfect but still good enough. "Am I disappointed after we don't win a game? Of course I am. But I don't bring it together with the Man City game. I understand all these thoughts, but what shall we do now? "It's easy to ask all these questions, but we have to make sure that we are not influenced too much by these things. "The boys are normal human beings, I am a normal human being. We want to win a game and we don't, so we don't feel brilliant. "But then we have to talk about what does it mean for the Man City thing? Not too much to be honest. "We have a point more than before. That's not exactly what we wanted to have, but still everything is fine in the moment. "Now we have a few days to prepare West Ham, and we go again. Then Bournemouth and we go again. "That's what we do, not counting points and hoping for gaps between us and other teams. We have to win our football games. That didn't happen and so we are not happy about that, but nothing more."